Following their hit BBC Radio 4 series, and many years of sell-out shows at the Edinburgh Fringe Festival and London’s West End, don’t miss Dictionary Corner regulars on ‘8 out of 10 Cats Does Countdown‘ and the first band to ever host ‘Never Mind The Buzzcocks‘ (BBC Two). 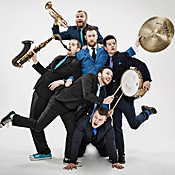 “We can’t recommend the Horne Section highly enough”. Time Out. Making a welcome return to Hastings on 5 June 2019 is one of the country’s best loved musicians. Former Squeeze ivory-tickler and presenter of the legendary ‘Later with Jools Holland’. 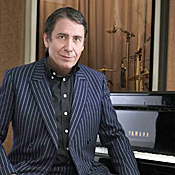 Since learning to play at the tender age of eight, Jools has gone on to become one of the UK’s most proficient jazz and blues pianists. Having toured extensively with his Rhythm and Blues Orchestra, his charismatic personality and accessible music have made him one of the nations most well-respected musicians. Details of all shows coming up at the White Rock Theatre can be found here.